Instagram is full of #sponsored posts these days. You see yet another and wonder if the snapshot of your energy-boosting vitamin supplement will really net you a matching boost in follower engagement. Influencer marketing is still a highly-sought-after commodity, with the market value in 2017 estimated to be 1.07 billion and expected to double to 2.38 billion in 2019. Influencer marketing isn’t going away any time soon, but trends are changing. Short-term contracts are being set aside in favor of building genuine relationships with influencers. At Orca we value our influencer community. We pick and choose the best parts of influencer marketing to build campaigns that benefit brands and influencers alike. Relationship building should be a key element in every influencer marketing campaign, but unfortunately this step often gets cut short after the first email is sent. Not all short-term campaigns should be abandoned per say, but more time needs to be devoted to forming partnerships and building authentic influencer marketing strategies. Real connections take time, effort and follow-through, and that means long-term commitment. When a content creator comes online promoting a product that they don’t like or believe in, audiences take notice. Loss of authenticity is a real problem for influencers – many people believe that influencers willingly promote products that they don’t use and assume that most product-driven content results from a paid promotion. This “authenticity crisis” is driving the market toward authentic influencer partnerships, and we believe this will be one of the biggest trends in 2019. 2. Build a Mutually Beneficial Relationship: Engagement is key to authentic influencer marketing – once influencers have been identified for collaboration, follow them and engage with likes, shares and comments. Simple things like asking a pertinent question in the comments section or informing a site owner when there are errors on the page can go a long way to building a rapport. Your goal is to get the influencers to interact with you naturally. Build a strong relationship by starting a conversation with them and their followers. Influencers don’t come entirely for free, so you may need to offer a beneficial opportunity like free products or information, exclusive invites to your store opening or guidance and consultation. Don’t stop with sending a bottle of your finest supplement – offer to guide them on their wellness journey with additional support and information. 3. Tailor Your Approach: Speaking of personalized messages, when it comes to contacting influencers, a standardized form letter just won’t do. With the steady growth of influencer marketing in the past few years, influencers are used to receiving a lot of inquiries for their services. A nice note thanking them for their content and telling them how their recent blog post helped you sleep better can go a long way toward making your request stand out. It has also been observed that many influencer emails are quickly filtered to the spam folder. Avoid words and phrases like “opportunity,” “money” and “please visit our website.” Use a friendly, natural tone and tell them why you think your brand is a good fit for their voice. 4. Create Valuable Content That Incorporates the Latest Trends: Make sure you are creating written and visual content that is engaging, valuable and high-quality. Influencers will be more willing to re-share your content on their page if it adds value to their followers, and you want this process to happen naturally. Your paid influencer campaigns should also encourage influencers to express their creative freedom. Let them set the scene and welcome your product naturally into their home. Look to incorporate new social media trends. Live videos are all anyone is talking about these days. It’s is a fun and authentic format due to the real-time nature of a face-to-face conversation. Imagine your favorite influencer doing a live video enjoying your tea in the coziness of their home. Podcasts are another great way to spread the word. Many influencers are relying less on just sharing content on social media platforms and are hosting fun podcasts that give followers an intimate insight into the influencer’s life. 5. Be a Devoted Fan After the Campaign Ends: You’ve collaborated with your favorite influencer and the campaign is wrapped up, but don’t let the relationship drift away after that last Instagram post. Continue following their pages and participate in their community. The influencer and their followers won’t forget you and the campaign can organically continue thanks to authentic participation on your end. You will also leave the door open for the influencer to continue following you and sharing your content in an authentic way. At Orca we take all these steps and more when building authentic influencer marketing campaigns. 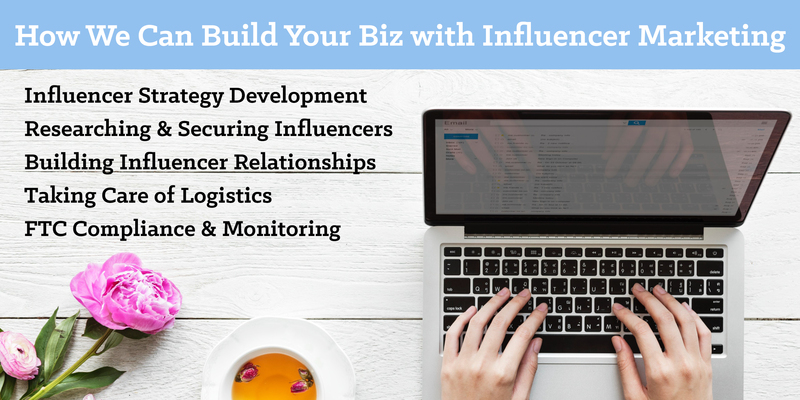 Our integrated, all-in-one influencer marketing package focuses on targeting potential brand advocates and cultivating meaningful relationships with them. We don’t merely hand over a list. By using conversational engagement, creative content, and incorporating the newest trends you can create an authentic connection with influencers that can be mutually beneficial for years to come.